RIO Tinto said it would restructure the Simandou iron ore project in Guinea to “… facilitate access to infrastructure funding from China”. The Anglo-Australian group’s newly appointed CEO, Jean-Sébastien Jacques, said on July 4 that the iron ore market wasn’t conducive to the proposed $20bn project. “Extensive engagement with potential infrastructure investors has taken place, but deteriorating market conditions have had a negative impact on investors’ appetite for the project and have prevented Simfer from assembling a funding consortium,” said Rio Tinto in notes to its interim results published today. Simfer is 42.7% owned by Rio Tinto. It had already spent $3bn on Simandou and wrote-down part of the investment for $1.1bn in February. 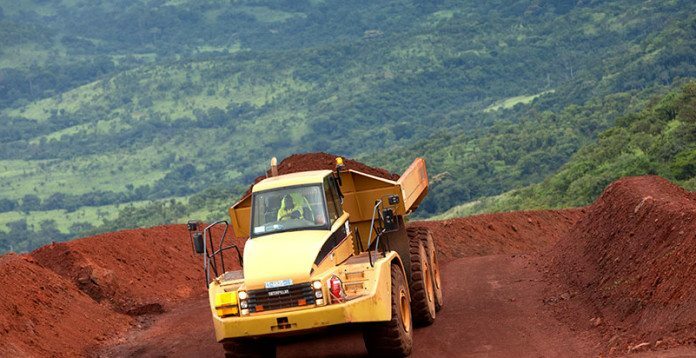 Rio Tinto didn’t allocate any capital expenditure to Simandou in the six months ended June compared to $47m spent on the project during the corresponding period of the previous financial year. Jacques’ decision to pull the plug on the project followed completion in May of an integrated bankable feasibility study for the mine, rail and port and infrastructure elements of Simandou as required by the project’s investment framework. Reporting on Rio Tinto’s decision to withdraw from the project in July, Reuters said that at full production, the project would have generated about $7.5bn in revenue. The report also said Simandou would have added $5.6bn to Guinea’s gross domestic product, doubling the size of its economy and making Guinea the fastest growing state in the world. According to a Bloomberg News report, Guinea was counting on Rio and other investors, including Aluminum Corp. of China.and International Finance Corporation to meet their funding commitments for the Simandou project. Citing an e-mailed statement from west African government’s mining ministry Bloomberg News reported that Guinea was “convinced” a financing solution would be found.